A recipient of a master's degree in fine art from New York University and a former student at the London School of Economics, Mark Hampton was a study in diversity. This can be seen in his career as a designer as well; his projects included interiors for offices, hotels, clubs, railroad cars, airplanes and boats. In addition, he designed Christmas decorations for Presidents Carter and Reagan. Hampton began his career in London with David Hicks, and then returned to New York to work with Mrs. Henry Parish II. 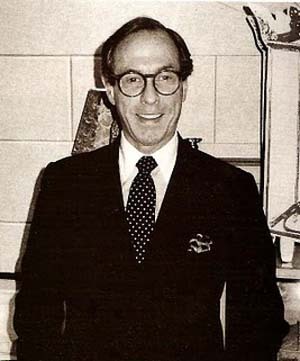 A six-year association with the firm McMillen Inc. followed, before he founded his own design company, Mark Hampton Inc., in 1976. Residential projects by Hampton are located around the globe: in Ireland, France, West Germany, Venezuela, Mexico and throughout the United States. His work also dealt with the restoration of historic buildings and interiors. These include the Naval Observatory and the official residence of the vice-president in Washington, DC; Gracie Mansion, the Metropolitan Museum of Art and the National Academy of Design in New York, as well as the Faculty Lounge at the University of Michigan Law School in Ann Arbor.